If anyone tries to tell you this was all faked... show them this. Uninterrupted and unedited footage by a private citizen.... continuous from FH lift off to booster landing. Doesn't stop multiple people in the comment thread from screaming "FAKE!". 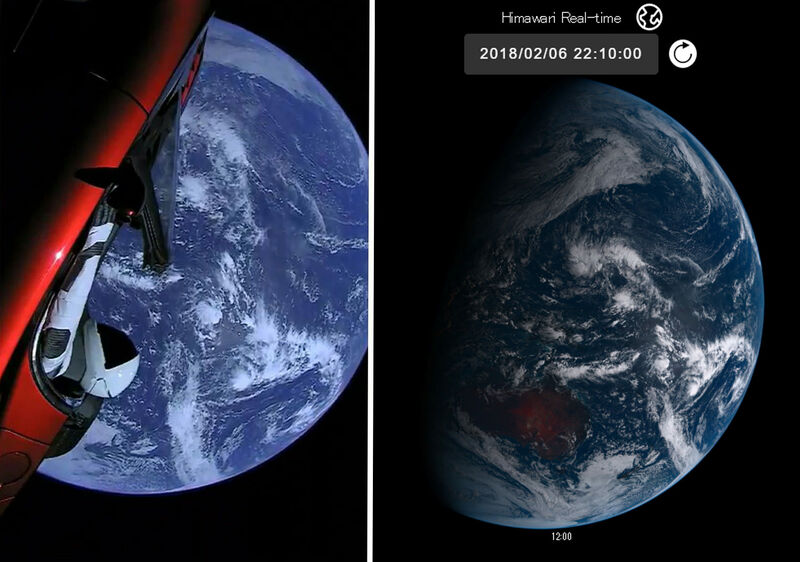 One insists it has to be CGI, several insist that because it goes sideways it can't possibly be going to space, fake fake fake it's all fake sheeple wake up fake fake fake fake with emojis fake fake fake. Like I said in another thread, I'm convinced the vast majority of these people are just trolling for the lulz, but there are a few people who will insist that the sky is mauve in spite of all evidence to the contrary. Of course, it doesn't occur to them to use their mad CG skillzs to duplicate a moonwalk or space launch and PROVE that space travel can be faked. There's easy ways we can prove this happened. The easiest is by comparing the video with cloud data. Compare the top image (frame from video) and bottom image (Australian Bureau of Meteorology cloud data). The top image is at 3:40:25. The live stream started about 15-20 minutes after launch, so we can say this frame is about 4 hours after launch. The rocket launched at 15:45 ET on Tuesday, meaning this frame was from 19:45 ET on Tuesday. This frame from the video shows Australia, so we know the frame was taken at 10:45 AEST on Wednesday (time zones are crazy). 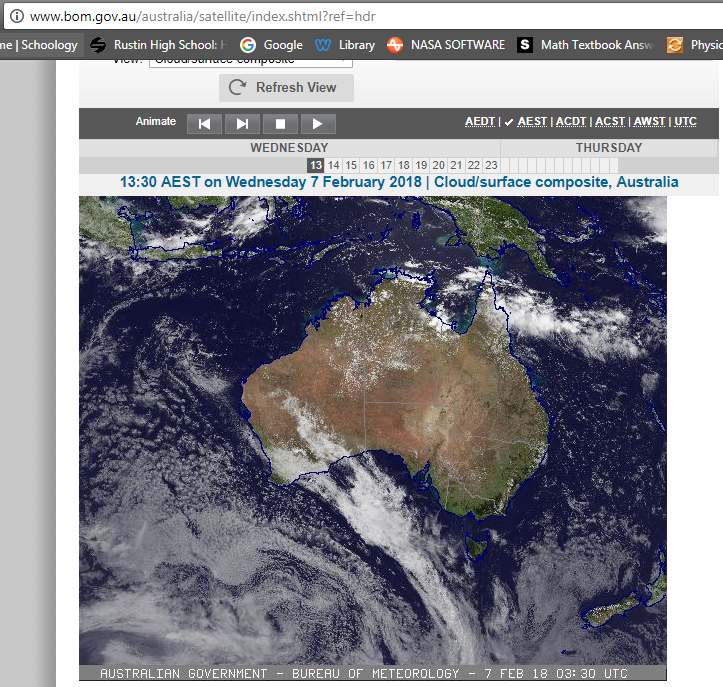 For the first image, you can see that Australia is MUCH closer to the terminator line than in the image 3 hours later. The clouds appear to have shifted slightly as well over the 3 hours. 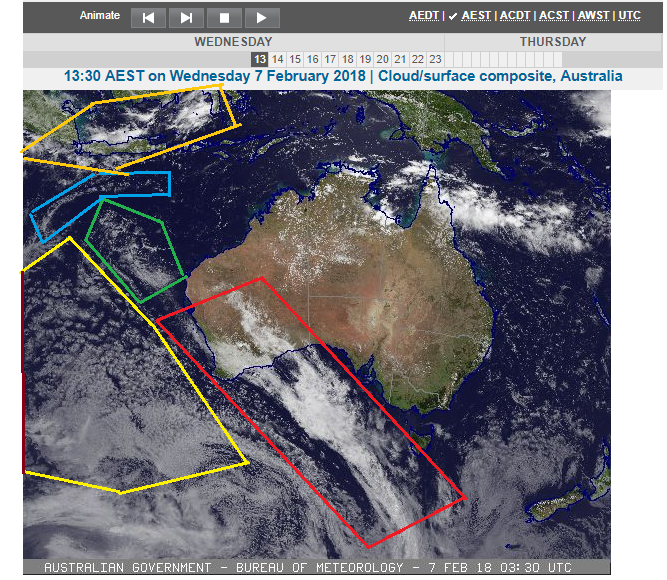 The top of the cloud band at the bottom of the first frame has moved between frames (in the latter image it moves with Australia), but if you look at the cloud's shape, it still changed. Compare any frame. Not only do they match up with the cloud cover data, but they match up with satellite imagery (fake tho, right? /s). It would be extraordinarily difficult to fake this in real time. All observation tools and data has some kind of delay, usually hourly, or quarter-hourly, and to predict where the clouds will be this precisely is impossible. The data shows it was live. The data matches with the video, showing the video to be real, or all the data and the video to be fake. The only other explanation I have is that Musk has a time machine and observed the cloud patterns before the launch. You can even see the moon in some shots! 30:30 - 31:57 as it enters from the bottom left corner, passes behind the car, and reappears and leaves in the bottom right corner. 1:07:19 - 1:07:32 in the bottom under the engine bell. 1:14:17 - 1:14:32 to the left of the engine bell. 1:21:25 - 1:21:35 in the top left. 2:55:16 - 2:55:59 appearing from the top moving right. 3:18:22 - 3:18:34 in the bottom left. 3:19:54 - 3:20:00 in the bottom right. 3:41:21 - 3:41:36 above the engine bell moving down. Real faint. 3:41:37 - 3:41:46 in the bottom left. 3:48:36 - 3:48:46 in the left. 3:55:21 - 3:55:35 in the bottom left of the bell. 3:55:36 - 3:55:46 in the top left of the bell, real faint. Those are all the ones I found. I'm sure there are a few more though. I'm probably just a big sook, but this flight has stirred emotions in me I hadn't felt since Apollo or the Curiosity landings. There has been quite a bit of feeling stirred on a number of facebook groups I'm on between Apollo enthusiasts and those enjoying more modern developments. Apparently there are people who believe it's strictly an either/or thing. Frankly I think this attitude is dumb. 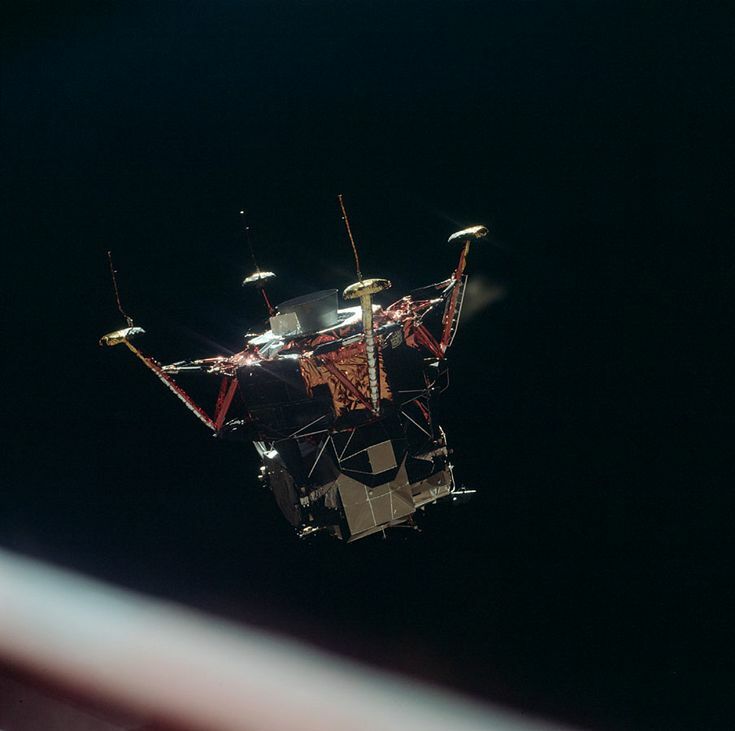 As avid an enthusiast as I am about Apollo, I fail to see why this should stop me looking at a car leaving Earth orbit, or a pair of boosters landing back on the ground and going "Wow - that is ****ing amazing!". Nope you're not a sook. This is exciting stuff... I punched the air with delight as I watched those two boosters landing... that footage should have been set to the the theme of "Thunderbirds Are Go!" As I have posted here before, rockets landing on a tail of flames this is right out of the pages of the 1960's sci-fi I read as a teenager. I feel that thrill too. I've ben trying to articulate it. My first thought is what I posted up-thread: "This is what the 21st century is supposed to look like." I remember a time when the future was going to be so cool. Those words mean a lot to me, so it seems incongruous to attach them to something as sublimely silly as launching a car into space on a test flight... but I do. It's more than just the technological achievement of the successful flight. Maybe it's that the silliness brings the human element to the metal and fire. Maybe it's the juxtaposition of something so familiar and ordinary as a car in such an exotic and awe-inspiring setting that re-kindles in me the hope - dream, really - that ordinary me can someday have my own adventure in the "final frontier". The car was indeed a very silly thing to do, and Musk is not shy of throwing in cultural reference points in many of his ventures so I don't doubt he's seen Heavy Metal. The main thing for me though is that people who have no real interest in space, knew nothing about the idea that you could land a booster rocket and use it again or any of the other fine achievements in orbit, were asking about this. People who otherwise couldn't care less went "Wow..". Maybe this will be the catalyst for some young kid that will spark an interest that will lead to greater things, just like Apollo did. I don't think it was all that silly a thing to do. Would people be going to SpaceX's LIVE channel to see video of a block of concrete (with "Dummy Payload" stencilled on the sides) to check on its progress? It got plenty of publicity, and as the old saying goes, "any publicity is good publicity". Sure, it got a few of the Musk haters all riled up, but hey, the Musk haters are a lost cause anyway; they will always hate no matter how much SpaceX succeeds, and we really only hear from them when they crawl out from under their flat stones to whinge about something. Musk is not shy of throwing in cultural reference points in many of his ventures so I don't doubt he's seen Heavy Metal. The words DON'T PANIC in large friendly letters on the GPS display are, of course, a direct reference to Hitch-hiker's Guide to the Galaxy. Also worth mentioning is the fact that this launch also put into space a Cultural Arch containing a special 5D, laser optical quartz storage device on which Isaac Asimov's "Foundation" series was encoded. Most of these people to whom you refer were probably unaware that SpaceX manage to safely land rocket cores in 5 of 8 attempts in 2016 and 14 of 14 attempts last year... making it look routine and easy... its neither. I had a feeling they were Banks inspired but wasn't sure they were actual ones - I got weary of his Culture novels after a while, they became overly self-referential for me. Big fan of his work generally though - I went to a reading of his, and my autographed copy of 'Song of Stone' was the one he read from. ... and small packet of peanuts? Oooh. "wheels" within "wheels"! I like it.... a reference to Ezekiel's vision of a sky chariot, or an acknowledgement of the complexity of space flight? A sook? As in an Arabic market? What has Arabic markets got to do with Falcon Heavy? "Sook" is Aussie, NZ, Canadian slang for someone who is is easily upset... ie. a "crybaby".